Vista Sand was recently featured on ForConstructionPros.com for its use of a drone to complete a number of applications designed to enhance efficiency, gain more information about its site, and lower overall costs. 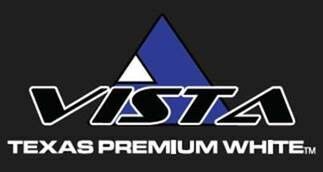 There’s no question that Vista Sand is on the cutting edge of the silica sand and frac sand industry. Its Texas Premium White™ is well-regarded because it possesses the highest crush strength in the industry. Vista Sand is currently expanding its mining footprint in north and into west Texas to meet increased demand from the oil and gas industry.. Vista Sand also provides industrial sand for a number of commercial projects. From the CEO of Vista Sand down, Vista Sand is dedicated to implementing new technologies to enhance operations and worker safety. Engineers discovered that the company’s fixed-wing UAV could be used to fly programmed missions over Vista Sand’s entire 800-acre facility in as little as fifteen minutes. It could then analyze raw data to be used for various processes in about four hours. The company also estimates that it could generate data maps from the raw data in eight hours or less and receive full-site aerial photography in a day. The drone is able to provide the Vista Sand production management and sales team with a better illustration of the facility and stockpile volumes so they can come up with better decisions and make adjustments to planning, using real-time data. According to those asked in the article about the drone and how it has improved day-to-day operations at Vista Sand, many days start with conferring over recent aerial photographs to make decisions. The drone has helped with everything from deciding where to put a pile to planning roads to accessing those stockpiles. Drones negate the need to take time off to survey the area. We highly encourage you to read the article and learn more about how drone technology is transforming Vista Sand here. Why Are More E&P Companies Investing in Data-Driven Technology?